Both Mumbai and Kolkata teams will try to maintain their winning momentum. They have got the most desired and best start. ATK has got four points from two games while Mumbai has won both the starting matches so far. The stats of both the sides makes today’s game even more attractive. MCFC is expected to finish in the top four. It seems possible by looking at its performance in the first two matches. Both the victories for Ranbir Kapoor-owned team have been 1-0. The plan of Alexander Guimaraes appears to be keeping a steady defense and punishing teams with up-front firepower. ATK has also won both the matches. However, they conceded two goals to Chennaiyin FC in the opening game. Later on, they won by 1-0 against Kerala Blasters in Kochi. “We are going to play against a fantastic team. In the first two games, Mumbai has garnered six points and kept two clean sheets. That’s an impressive start for Mumbai. Thus, we have to be very best to win. 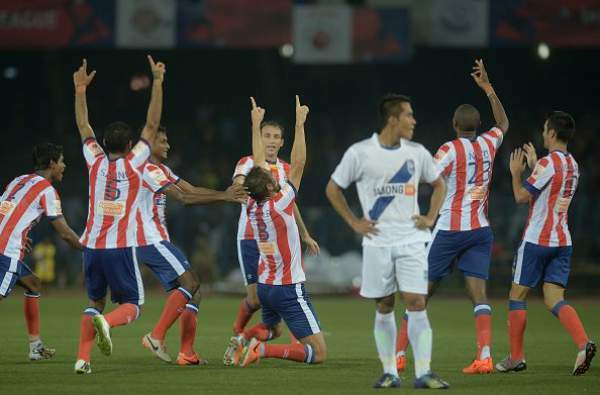 Both the teams have a similar style of playing,” ATK manager Jose Molina stated. Atletico de Kolkata will need to keep Diego Forlan quiet if they want to win against Mumbai. It’s so because the Uruguayan has hand goals in both the starting matches this season. He assisted one while scored the other by himself. The success of ATK will also depend on the former Manchester United and Atletico Madrid striker Forlan. Molin stated that they would try to play the game which they want. “If we can keep possession, then we will have to defend less,” Molin added. Mumbai vs Kolkata is set to start at 7 pm IST (2.30pm BST, 9.30am ET) start. India: TV: Star Sports 1/HD1, Star Gold, Asianet Movies, Jalsha Movies. Live Streaming: Hotstar (also available in other territories). Europe: TV: Star Gold and EuroSport. The USA and Australia: TV: Fox Sports.